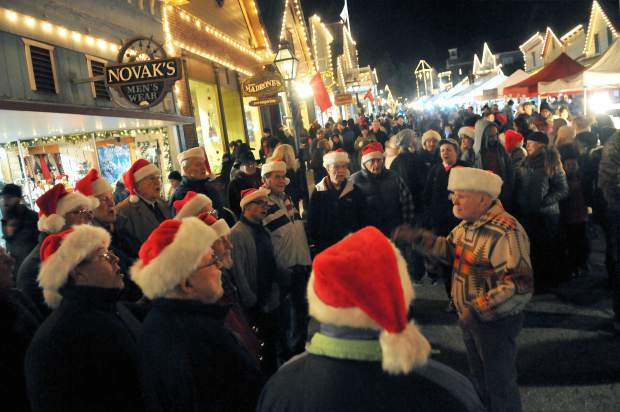 Members of the Sierranaders Barbershop Chorus out of Auburn, serenade street faire goers of Wednesday's Victorian Christmas, the final Victorian Christmas date of the the year. 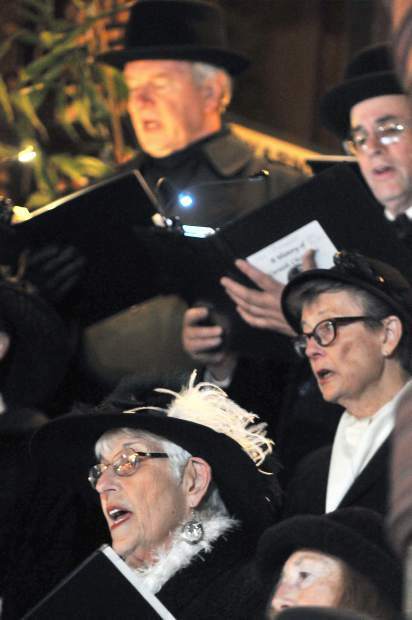 Members of the Cornish Carol Choir sing from from their wide array of classic christmas tunes during Friday night's final Cornish Christmas event of the year in downtown Grass Valley. 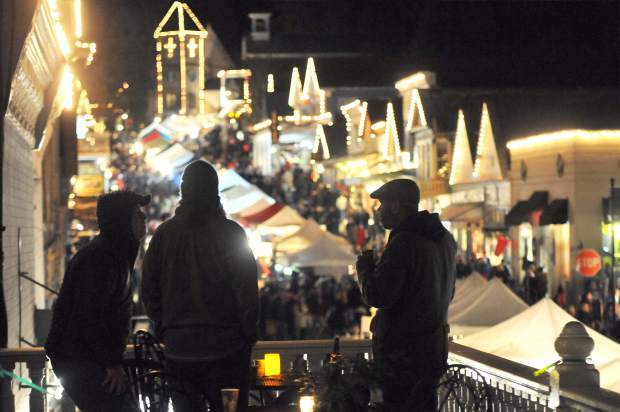 Folks enjoy the sights and sounds of the final Victorian Christmas of 2017 from the balcony of the National Hotel on Broad Street Wednesday evening. 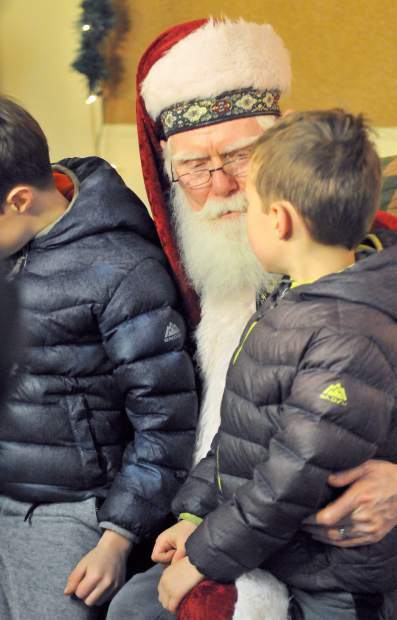 Santa Claus hears a pair of children's Christmas wishes in the basement of the Nevada City Methodist Church during Wednesday's Victorian Christmas. 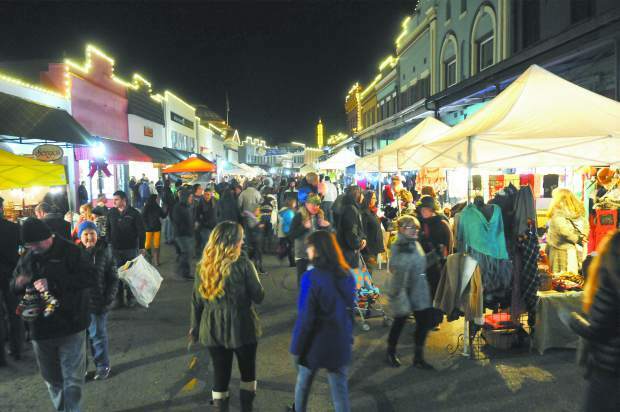 Folks peruse through the selection of craft and vendor booths available at the 50th year of Cornish Christmas in Grass Valley. 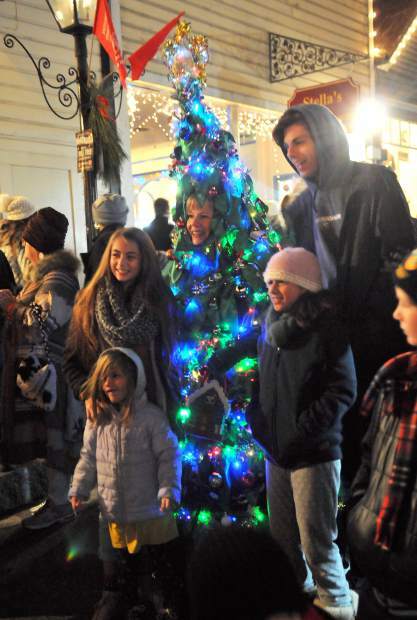 A family poses with a woman dressed as a Christmas tree while walking along Broad Street during Wednesday's final Victorian Christmas of 2017. 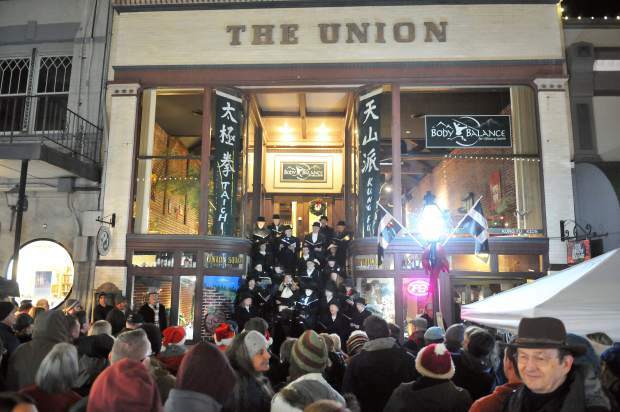 Cornish Christmas goers gather in front of The Union building on Mill Street where the Cornish Carol Choir readies to sing another song Friday night during the final Cornish Christmas of the year. 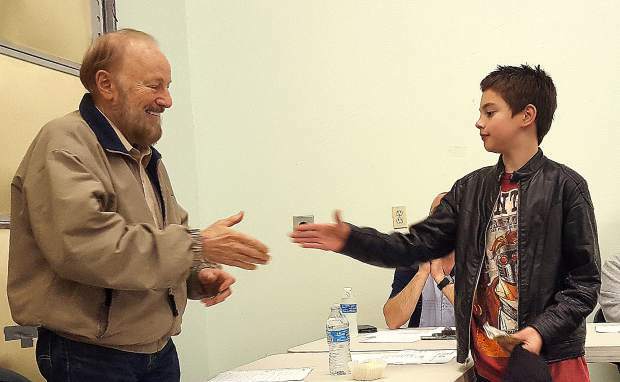 Members of the Nevada City Chamber of Commerce work on making more spiced apple cider for the masses during Wednesday's Victorian Christmas. 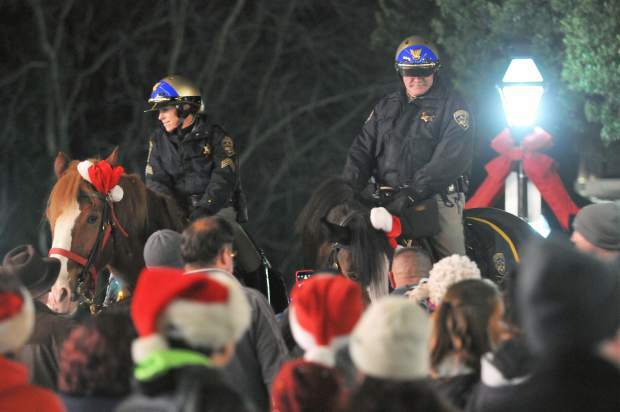 A pair of mounted CHP officers and their horses draw plenty of attention during Friday night's final Cornish Christmas event of the year. Folks warm up by the fire during Friday night's final Cornish Christmas event of the year. 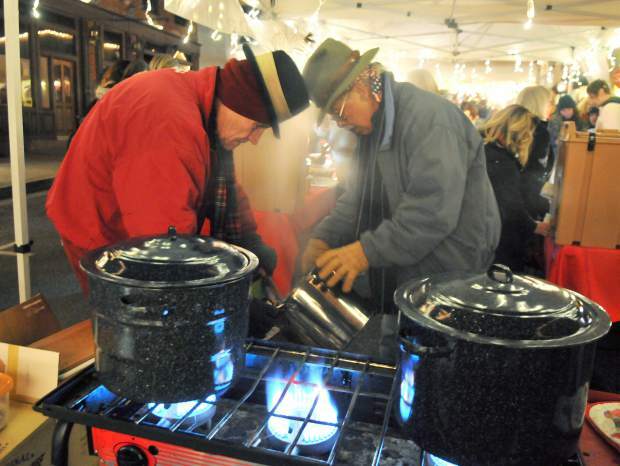 A series of diferent fire barrels around the event helped keep folks warm. Frigid temperatures didn’t keep the masses away from the final Victorian and Cornish Christmas events of the year Wednesday and Friday night. 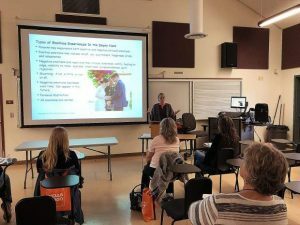 Held every Christmas season by Nevada City and Grass Valley, respectively, the street vendor fairs are huge tourist draws that also help bring in tourism and tax dollars. 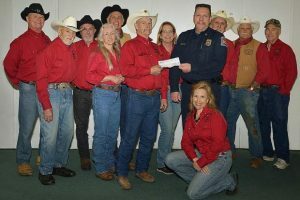 In Nevada City, folks could be seen clutching steaming cups of hot cider, hot chocolate, hot chili, or mulled wine, while mingling with walking Christmas Trees and Kris Kringle at Victorian Christmas. 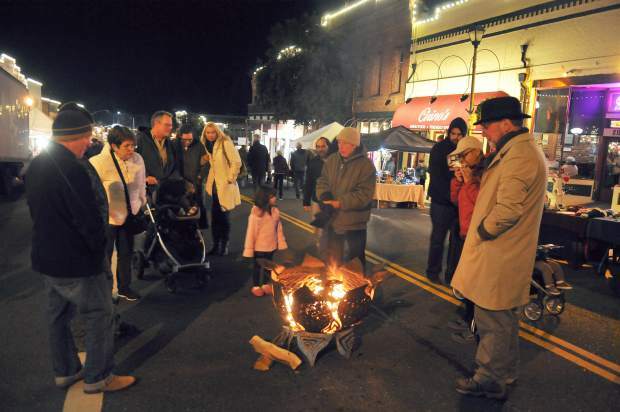 While temperatures dipped to below freezing in Nevada City Wednesday night, temperatures stayed in the low 40s in Grass Valley for Cornish Christmas Friday, though folks could still be seen warming up next to the open fires placed around downtown Grass Valley.